Howdy! I am Ed Gonzalez-Tennant and I serve as the Creative Director for Pond Hill Games. I also teach anthropology at the University of Central Florida where my research looks at the use of 3D modeling and video game technologies for archaeology, history, and public outreach. My path to 3D modeling started in 2005 when I began virtually reconstructing the town of Rosewood, Florida, an African American community destroyed in 1923 during a race riot. I originally used several programs (SketchUp, 3DS Max, and Maya) before permanently switching to Blender in 2011. Today, my workflow begins with asset creation in Blender, texturing in Substance Painter, and the construction of virtual worlds and video games in Unity3D. I am 100% self-taught. Sketchfab has become integral to my work. I’ve even used it to create labs for my large courses on human evolution as well as highlighting current and past projects and sharing proof-of-concepts. I’m honored to have a model picked for the spotlight focus, and excited to join the ranks of some great artists showcased on Sketchfab! The progressive image of evolution showing changes from our primate ancestors to Homo sapiens (that’s us!) is a staple of popular culture. It is based on an outdated concept explored in the 1965 book The March of Progress by Rudolph Zallinger. Zallinger’s image is a great way to visualize evolutionary change over millions of years, but it gives the impression that such changes were progressive and oriented along a straight line. This theory, referred to as orthogenesis, is considered outdated because our evolutionary history is more complex. We now know different species often coexisted at the same time. Still, as a popular image introducing the concept of human evolution, it’s hard to beat. My goal with this 3D model – beyond illustrating some basic human evolutionary ideas on Sketchfab – is to introduce users of our forthcoming Virtual Museum of Human Evolution to these ideas. This means showing anatomically accurate models and introducing users/visitors to a handful of species they encounter in the museum. The initial challenge centered on deciding which species to include. I ultimately decided on a chimpanzee to represent our ape-like ancestor. I then chose Ardipithecus ramidus, Australopithecus afarensis (Lucy), Australopithecus boisei, Homo erectus, and Homo sapiens. Click on the links to view detailed Sketchfab models of the craniums for each species. The workflow for this model involved six broad steps. 1. Collect anatomical references. Images showing anatomies for the specimens are available around the net. I find the most complex parts of anatomies to model are the skull, spine, pelvis, ribs, sternum, and some of the smaller bones in the hands and feet. 2a. Model skeletons – high poly sculpts. I’ve always enjoyed using Blender’s sculpting tools, which are top-notch in my opinion, but using them to create anatomically accurate models represented a new challenge. I scoured the internet for tutorials before landing on Zacharias Reinhardt’s excellent tutorial on sculpting a goat skull. That tutorial really helped me a LOT. Otherwise, the process of sculpting with reference images is pretty straightforward, load as many views as possible and get sculpting. This process was repeated for the more complex bones like skulls (craniums and mandibles), spine, and so forth. 2b. Model skeletons – low poly bones. The rest of the skeletal anatomies were produced with relatively low poly models from the beginning. This is the case with simpler shapes like the long bones (arms and legs), fingers, toes, etc. I was able to use many of the bones for multiple models, with modifications. For instance, the pelvis bones are all the same model modified based on published accounts of the various species (when available). Otherwise, conjectures were made based on my knowledge of these changes (one advantage of teaching this material in college). 3. Produce low-poly versions of high poly sculpts (retopology). The high poly sculpts are far too complex for use in a game engine. Like most people I’m not excited by retopology. Fortunately, there are great tools to help speed it up. I regularly use the RetopoFlow add-on for Blender and the standalone Instant Meshes. These tools help me rapidly retopologize models. I’ll also use the decimate modifier in Blender to create LODs. For the chimpanzee cranium this reduced the sculpted model’s 308k faces to just shy of 20k. The LODs reduce this even further, but those were not used for the final model uploaded to Sketchfab. 4. Build each specimen. This step involves placing all the various bone models into a single Blender file (one for each specimen). I used various anatomical references to place the models in their correct position and orientation. This aspect often required tweaks to individual models to help them fit together. I mirrored most bones across the central axis to save time. 5. Rig and pose. I really appreciate Blender’s tools for rigging and posing characters. Weight painting is also easier with skeletons as you can assign an entire bone to one of the rig bones, little need to worry about deformations of the mesh! 6. Unwrap and texture. Since this version is meant to represent a museum or exhibit style, I decided to unwrap all the skeletons together in one UV map. The stand they are placed on represents a separate model and texture in the same Blender file, as does the text. 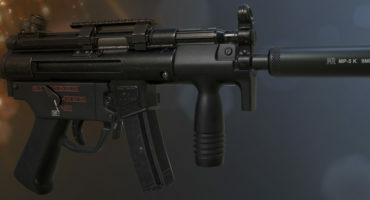 Texturing was then completed in Substance Painter. I uploaded the model to Sketchfab using the integrated export function in Substance Painter. This really simplifies the upload process. There really wasn’t much tweaking of settings involved since Sketchfab provides some great presets. I found that the Tokyo Big Sight environment map did a great job of lighting the scene (after trying the Studio setup). I made small changes to orientation and brightness of the light source to bring out some features. I almost always turn on the SSAO and Vignette post processing filters. I also properly scaled the VR scale and floor level. I got a lot of use out of the annotation feature and added a total of 20 to this model. They are ordered to provide a history of the major anatomical and behavior changes that have taken place in the past 6-7 million years. The annotation tool is a great way to add functionality and value to our models in Sketchfab. Thanks for taking the time to read my post and I look forward to seeing all the great stuff everyone produces in the future! Creative Director with Pond Hill Games, an indie game company in Orlando, Florida. I also teach anthropology at UCF.